A properly working air conditioning system is vital to good driver comfort, especially through the long, hot summers. But even in the cooler months your air conditioning system can develop cracks and leaks that affect your air con’s performance when you need it. Our team can replace damaged hosing and seals in your vehicle air conditioning system, and replace or repair faulty parts of the system. We’re also able to re-gas and service your system with the refrigerants it needs to keep you and your passengers cool. If you find your air conditioning system is beginning to smell when you turn it on, this could be a sign of harmful bacteria build up in on the systems evaporator. We have the solution with our AutoplusWA Antibacterial service that will have your system smelling fresh and new. For help keeping your car cool through the summer, get in touch with us today! In many cases, the specific cause of an issue in your vehicle can only be properly discovered using your vehicle’s suite of onboard sensors and monitors, which can only be accessed by a workshop equipped with scan tools new enough to cater for your vehicle’s specific make and model. Our workshop’s equipped with top of the line diagnostic scan tools, allowing us to leverage your vehicle’s electrical system to locate faults and more effectively repair your vehicle. These devices are kept up to date with the latest model vehicle’s firmware, allowing our devices to tap into practically any vehicle’s diagnostic tools. To book your vehicle in for electrical work, get in touch with us today! Your battery and charging system are responsible for keeping the electronic components in your vehicle working, both on the road and off. An issue with the charging system places a greater workload on your vehicle’s battery, leading to your battery going flat sooner. We’re able to provide repairs to most electrical components of your vehicle, from repairing your vehicle’s charging system to replacing faulty batteries, alternators and starter motors, as well as replacing faulty wiring and the installation of new lighting and audio solutions, cruise control systems, hands-free kits and more. To have your battery or charging system checked, get in touch with us today! Your electronic fuel injection system controls how much fuel is fed into your engine for each compression, and is controlled by an electronic control unit (ECU). Should issues develop here, it can result in poor fuel economy, misfires or backfires, rough idling and other issues that hamper your vehicle’s efficiency. On occasion issues with your fuel injection system can be traced back to a singular injector blocked with carbon buildup that needs to be cleaned. Other times, however, the fault must be found somewhere within the systems themselves using advanced diagnostic testers like the ones we have at AutoplusWA. For help with your vehicle’s fuel injection system, get in touch with us today! 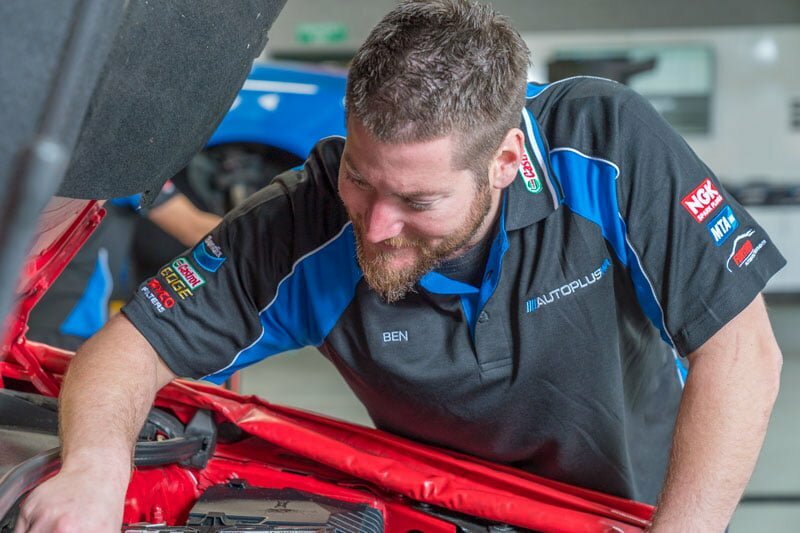 At AutoplusWA our diagnostic tools are kept up to date, ensuring we’re able to provide the same level of diagnostic accuracy for these newer electric and hybrid vehicles as we do for more common petrol or diesel vehicles. No matter what your car runs on, we’ll get to the bottom of what’s wrong with your vehicle. To book your vehicle in for a diagnostic scan, get in touch with us today! Sometimes the only way to avoid minor collisions in the car park or on the street is to have eyes in the back of your head. We might not be able to do that, but we can put eyes in the back of your vehicle. At AutoplusWA we can install a range of parking cameras and reverse cameras, to help avoid unnecessary bumps and dents. To ask about fitting a camera to your vehicle, get in touch with us today! Should you ever run into problems with your vehicle’s security features, AutoplusWA is on hand to help you regain control of your vehicle. We can offer a range of services for your vehicle security, from installing and servicing car alarms to reprogramming electronic car keys. We can also check your cruise control system for issues, for easier motoring. To keep getting the most out of your vehicle over a vehicle’s life, it can sometimes require updating your vehicle to the latest manufacturer’s software, settings and controls, which can often be refined and optimised long after the sale of the vehicle.